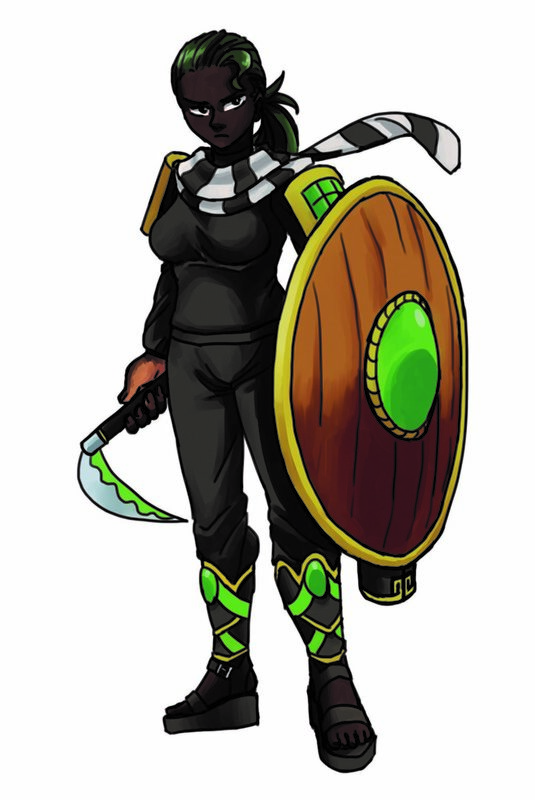 Stalwart and sturdy, Jade exhibits a warrior spirit that embodies the Syndicate’s pride in strength. Used to putting others before herself, however, Jade uses her power to ensure she’s watching her soldiers’ backs when no one else is. Born in the Gem Tribes’ desert, she migrated to Avalon in search of opportunity, where she quickly became renowned for her incredible combat potential. After gaining the attention of Boss Gareth, she became one of his two heirs when she defeated him in a mock one-on-one match. Though sometimes at odds with his other heir, Reynard, she is known to come to Gareth’s aid almost as often as the Minotaur. With a no-nonsense attitude when it comes to battle and a shield nearly as big as her to protect her allies with, fighting alongside Jade comes with the relief that you are in safe hands. It can feel difficult to pull your own weight however, as this unfaltering warrior goes above and beyond to ensure no one gets left behind.